Begin the process by doing what you have put off doing for years: replace the blades of the ceiling fan, touch up peeling paint, and scrub the grout in your bathroom. Work to improve what you already have, there’s no reason to start from scratch: a fresh coat of paint really does go a long way! Sure, a complete addition is great, but a more inexpensive option is to take a good hard look at your current floor plan. Reconfigure the layout by substituting one room’s use for another. Go from a 2 bedroom home with a den, to a 3 bedroom home with minimal time or money out of pocket. Add storage to your newly configured bedroom to give the room a more apparent purpose. Buyers love storage. Maybe a nursery or office space is incredibly intriguing to home-seekers right now, but the best way to determine current interests is to consult an agent. Replacing an old door and lining your entrance with bright potted plants will give you a high financial return without having to put much in. Buyers want to be hooked just by driving by. Give them an excellent reason to come to an open house by making your front yard and entrance inviting and warm. Swapping out old windows for new ones will automatically give a fresher look. Also, another relatively inexpensive idea is to replace windows with French doors opening up into the backyard. This creates a sense of luxury and openness with very little work. Get rid of an outdated ceiling fixture for a clean, simple piece. Also, add seating areas in your backyard or outdoor space. You want your buyers to imagine themselves relaxing in this space; allow them to picture their morning coffee or family BBQs here. Buyers go bananas for granite counter-top kitchens and beautiful bathrooms. If you want to spend money doing complete renovations in these rooms, remember you don’t have to go for the top-of-the-line fixtures. 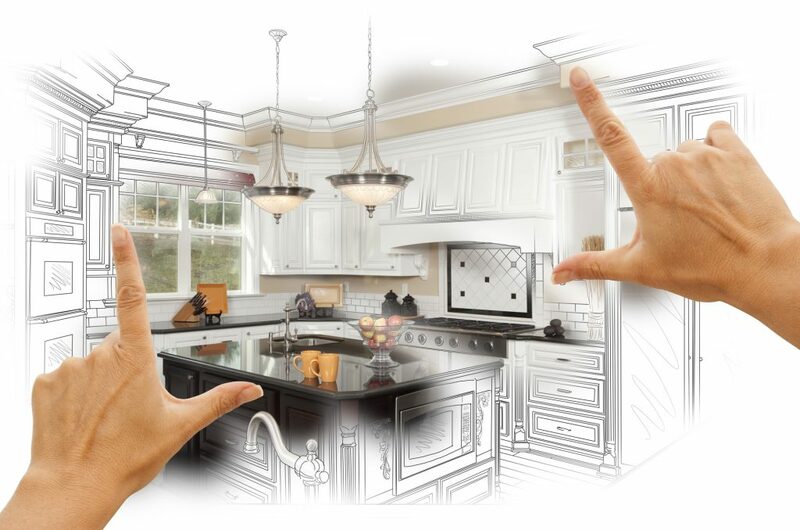 You can spend a whole lot of money on a kitchen and bathroom or you can choose well kept, lower-price additions that will make your spaces look just as nice for a fraction of the cost. However, you don’t have to demolish to add value! Shine your faucets and clean your bathroom floors. Paint the cabinets in your kitchen instead of getting brand new ones! Add some modern, shiny new hardware for an updated look. Buy a new toilet or pedestal sink; just make everything look bright and clean. The last tip is probably the easiest. Get rid of over-crowded furniture or stacks of miscellaneous accumulations of “stuff” that have piled up throughout your busy life. Let the house speak for itself just by getting rid of bulky clutter. If you have questions regarding home values and renovations, please give one of our wonderful agents a call. Consulting with a RE/MAX Estate Properties agent will give you the greatest insight into what buyers in the greater Los Angeles area are looking for in today’s market. Happy renovating!